THE Super Bowl is the pinnacle of American Football, pitting the two best teams from the NFL’s the National and American football conferences against each other in front of billions of fans. While the Americans like to call themselves ‘World Champions’ when they win a title in a strictly US league, this is the one instance when it is, perhaps, fitting, because there are no other professional American football leagues of note. And not only is the game a fantastic spectacle, it is also great to punt on. Whether you are laying a futures bet in September when the season starts, or having a crack at who will be the Super Bowl’s Most Valuable Player on the day of the game, the match provides year-round punting opportunities. If you are going to bet on the NFL Super Bowl, you want to lay your hard earned money with an online bookmaker you can trust as much as a good quarterback when the chips are down. Don’t worry about going hunting, we’ve made it to the end zone for you with these superstar performers. Remember, having multiple accounts gives you greater punting versatility, more markets and a chance to compare odds. As we have already mentioned, there are a mountain of markets on the Super Bowl game, with many bookies providing odds on next year’s Super Bowl just hours after the completion of the game. Here are just a few of the ways you can bet on the Super Bowl. 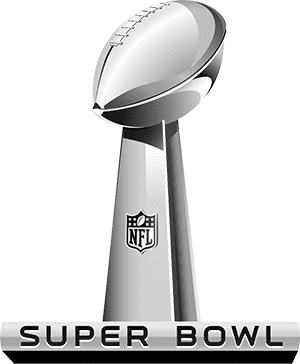 Super Bowl winner: Who will win the Super Bowl? You can lay this bet just before the game, or several months out from the game, before the playoff seedings are even decided. Super Bowl quinella: Which two teams will play in the Super Bowl game? 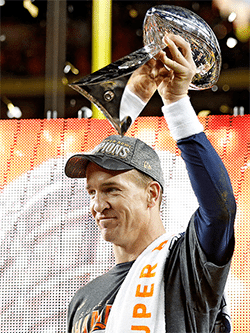 Super Bowl MVP: Which player will be named the Most Valuable Player of the Super Bowl game? Match betting: Which team will win the game? Line betting:Provides a handicap for the favourite and a ‘head start’ for the underdog. The favourite might be given a -4.5 point line, meaning they must win the game by at least five points for your bet to win. The underdog will then be assigned a +4.5 point line, which means they can lose the game and you can still win, provided they go down by less than five points. Total match points: How many points will the two teams score in the Super Bowl game combined? First touchdown scorer: Which player will score the first touchdown in the Super Bowl game? Player props: How many rushing yards will a particular player get, how many touchdowns, etc. Props bets can also pit players head to head in a certain statistical category. Bet within your means: Pretty obvious really. Make sure it is fun, set a limit and don’t go over it. Meet your obligations first, before you place your bets. If you can’t afford it, don’t do it. Bet with your head, not your heart: It is easy to get swept up in the glitz and glamour of the Super Bowl build up and fall in love with a team. Make sure you do your research, crunch the numbers, look into the history between the two teams on the season and make an informed decision before tipping the winner. Alternatively, go with your gut. Stay away from the silly prop bets if you really want to make money: This is the Super Bowl. Strange things happen. Players do unpredictable things. But do you really want to waste your money on predicting how often the word ‘dab’ will be used by the commentators? When the favourite wins, they almost always cover the line: There have been 33 favourites to win the Super Bowl in its history and of those, only six of them have not gone on to cover the line. So if you’re going to back the favourite to win, may as well enhance your odds and back them to cover the line as well. Locks don’t exist in the Super Bowl: Just ask the Carolina Panthers in 2016. Everyone pegged them for the title and look how that panned out. Consider the underdogs heavily. The Pittsburgh Steelers have won more Super Bowl titles than any other franchise, with six. Consecutive appearances in 2017 and 2018 mean the New England Patriots have now played in 11 Super Bowls – more than any other team in NFL history. The poor old Buffalo Bills appeared in four straight Super Bowls from 1991-1994 and lost all of them. Eight teams have won the Super Bowl in consecutive years. No team has ever won three or more in a row. The San Francisco 49ers’ win over the Denver Broncos in the 1989 Super Bowl set a host of records that still stand today, including most points in a Super Bowl game (55) and highest winning margin in a Super Bowl (45). New England’s stunning comeback against Atlanta in 2017 saw Tom Brady become the first player to win four Super Bowl MVP awards. He also smashed Kurt Warner’s high mark with 466 passing yards and beat his own record for completions with 43, taking his career tally to 207 – also a record. In case you doubt the Pats QB’s legacy, he also has more Super Bowl touchdown passes – 15 – than any other player. Peyton Manning became the oldest quarterback in history to win the Super Bowl when the Broncos took out the Panthers in 2016. Another 49ers legend in Jerry Rice has scored more points – 48 – than any other player in Super Bowl history. He also shares the record for most points in a game – 18, which he achieved twice – with three other players. And to top it off, Rice has more touchdowns – eight – than any other player. Well, there’s even more to Rice. He has the most career receptions, most receiving yards in both his career and in a single game, and he twice had three receiving touchdowns in a game. His 604 yards gained is also a record for a career. If your team goes 10 points up, Sportsbet will pay you for the win - regardless of the end result. Maximise your bonus balance with the best bookie specials for the Super Bowl, BBL finals and more. Find out how to get up to $100 in bonuses by betting on today's NFL Playoffs. Enjoy better odds and special markets for today's NFL Conference Championships.